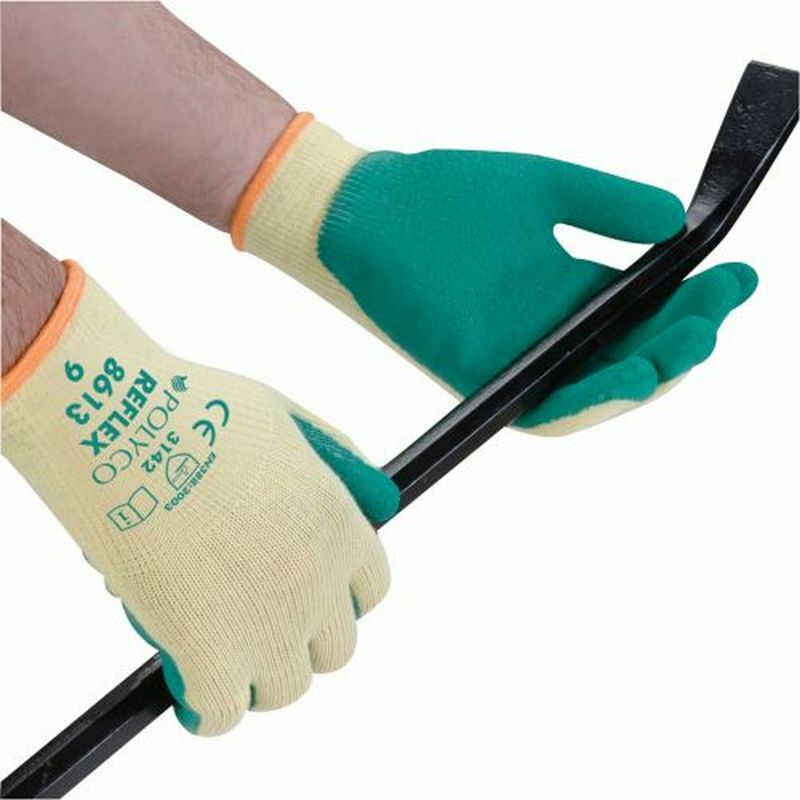 The Polyco Reflex General Work Gloves are multi-purpose knitted polycotton liners that boast excellent grip in wet and dry conditions. 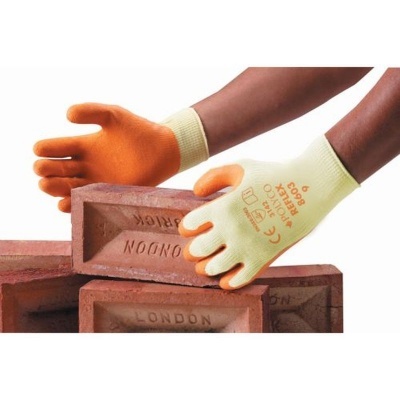 These medium-duty gloves come with excellent abrasion and tear resistance, which makes them ideal for tasks such as bricklaying and construction. The gloves will offer high levels of grip in wet environments, so would be the ideal product when moving materials in bad conditions. Reflex General Work Gloves are available in three sizes that should suit the hands of most users. Please measure the circumference of your hand around the knuckles (excluding the thumb) with your hand open and your fingers together, and the length of your hand from the tip of your middle finger to your wrist. Please note - The information about this product is intended to assist the wearer in selection of personal protective equipment. The results of physical tests should also help in glove selection. However it must be understood that actual conditions of use cannot be simulated and it is the responsibility of the user, not the manufacture or seller to determine glove suitability for the intended use.